Forearm Forklift Lifting Straps can also be known around the shipping world as Forearm Forklift Straps, Forearm Forklifts, Lifting Slings, or Forearm Lifting Slings. They are commonly used to help avoid injuries from occurring in the shipping world, as well as utilizing proper lifting techniques to reduce the feeling of the amount of weight you are picking up to feel 66 percent lighter. Some of the most awkwardly shaped items such as bookcases, washers, dryers, refrigerators, and countertop stoves can be tricky without using lifting slings due to their weight and size. However, when using lifting slings you will immediately notice a large difference in being able to move these types of items as well as avoiding damage to door sills and floors from being beaten up. When it comes to lifting heavy during a move such as couches, tables, or even cabinets the danger to get injured through a back injury is extremely high. Lifting with improper form accounts for 36 percent of injuries involving missed workdays were the result of shoulder or back injuries according to The University of North Carolina of Chapel Hill. These straps not only employ good lifting techniques but provide leverage to help you lift the weight much easier off of the floor. Bending, followed by twisting and turning was the more commonly cited movements that were causing back injuries. Forearm Forklifts when using a partner and the lifting sling help prevent injuries from occurring that may require missing several days of work by only allowing proper lifting form and techniques. Lifting Slings can make lifting an absolute breeze. Our 9-foot 4-inch long lifting slings that are 3 inches wide are capable of lifting a total weight of 700 pounds safely. This not only allows you to lift those heavy wooden cabinets that can cause those pesky back injuries with ease but also encourage safe lifting practices by the way they are used in the professional moving industries. Part of the reasoning behind the design of lifting slings is with proper lifting techniques mixed with the forearm forklifts webbing you can carry way more weight much easier. Some of the features of our forearm forklifts include each pack comes with 2 straps which is a complete set of forearm forklift lifting slings that may also be called lifting straps. Each pack has easy to use instructions that make learning how to use the forearm forklifts incredibly easy as the directions are easily illustrated and clear to use. All you have to do to use the forearm forklifts is cross the straps in the shape of an X underneath the item that you anticipate on carrying or moving around to prevent any chance of the item slipping out. Once this is done you are ready to lift and simply coordinate with your partner when to lift and when to slowly go down at the same time to prevent load shifts and equal weight distribution. These straps are rated for carrying up to 700 pounds safely. However, we do not encourage by any means to exceed the carrying rating as it can be dangerous in doing so. Did you know that using forearm forklift lifting straps that help employ leverage they make anything you attempt to carry seem to be 66% lighter than normal standard lifting? They are OSHA approved and they are great for keeping wheels or carts off of floors that may end up in the floors getting scratched, scuffed, or banged up during moving. Forearm Forklifts are an absolute must for any professional mover, professional shipper, or any first-time mover to make the move much more enjoyable and stress-free at the same time. Forearm Forklift Straps are one of the most popular items we supply for the moving industry due to all of the great features they can offer for such a great price. If you have any questions regarding any of our Forearm Forklift Lifting Straps give our Forearm Forklift Experts a call at 800-483-2189 or by using our online contact form located here and we would be happy to assist you with any further product information or questions you may have. Some of the perks to using forearm dollies is you prevent the damage done by traditional dollies such as scraping floors, leaving marks, or deep scratches into surfaces that you run the dollies in to. 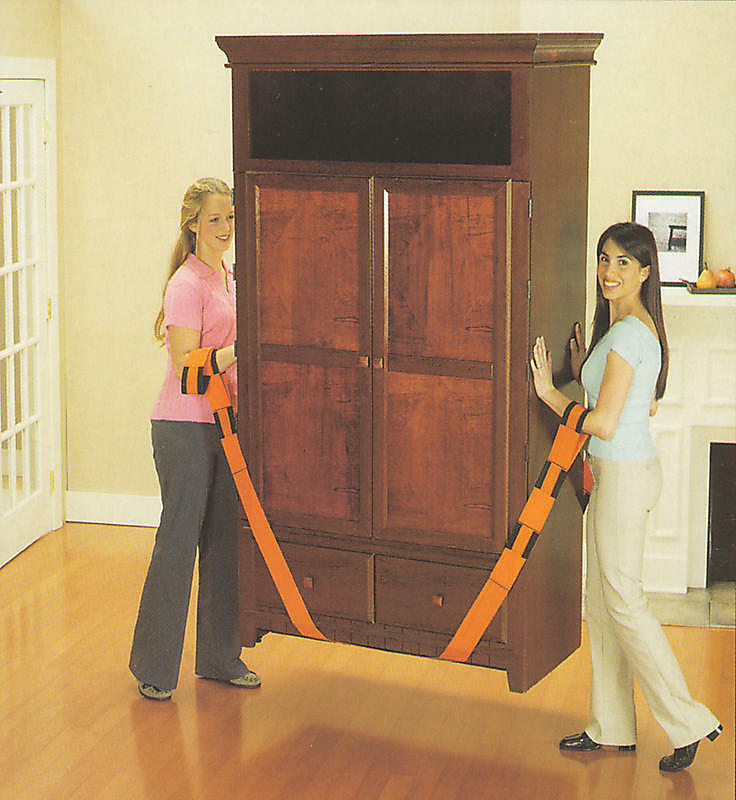 Purchasing Forearm Forklift straps prevent moving from ever getting the best of you during your move. Make moving much easier by purchasing Forearm Forklifts that make moving safer, quicker, and easier while protecting all of your surfaces from damage at the same time.